In a masterful debut, Vaughn gives us a protagonist to remember – and to love. Danielle tells her story through journal entries, essays written for English class, e-mails, and letters. She’s dealing with a host of issues: she attends a school for kids with learning disabilities, where she’s low on the pecking order; she was adopted by wonderful parents whom she feels she consistently disappoints; she has OCD and body-image difficulties; she’s hopelessly in love with her school’s alpha male. But she has a strong and diverse support network, a keen eye, and a real gift for writing. Vaughn deftly avoids stereotypes in giving us achingly believable, three-dimensional characters and situations. Lauren Roedy Vaughn is an award-winning educator who has spent twenty years teaching English to high school students with language-based learning disabilities. 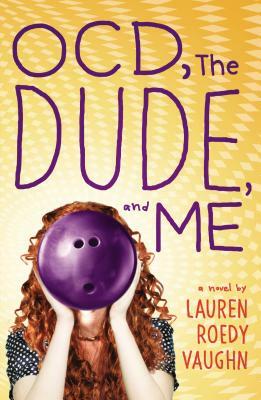 Lauren lives with her husband in Los Angeles, where she is an avid yogini and Big Lebowski nut.